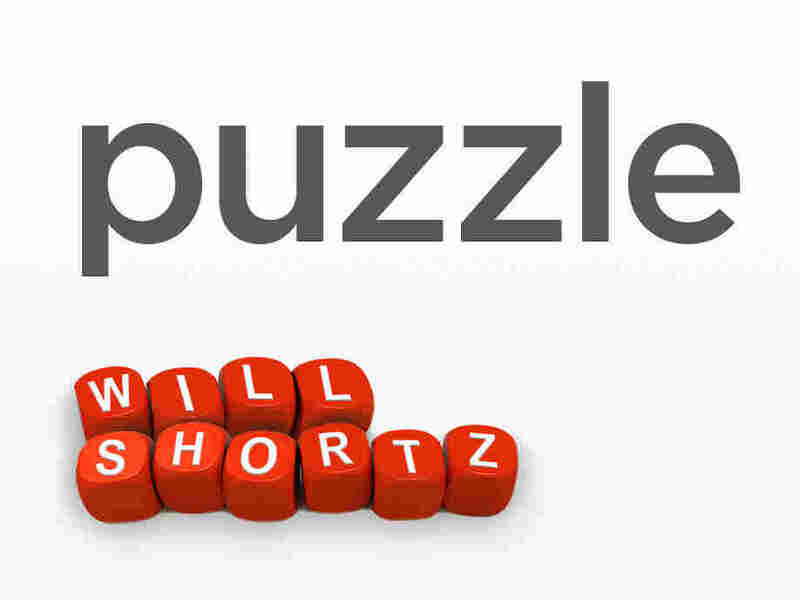 Sunday Puzzle: Donate A Bit Of Your Time To This SuperPAC (Puzzle) This week's puzzle is called "SuperPACs." Every answer is a familiar two-word phrase or name in which the first word starts with PA- and the second word starts with C.
Last week's challenge: This is a two-week challenge. Take the digits 5, 4, 3, 2 and 1, in that order. Using those digits and the four arithmetic signs — plus, minus, times and divided by — you can get 1 with the sequence 5 - 4 + 3 - 2 - 1. You can get 2 with the sequence (5 - 4 + 3 - 2) x 1. You can group digits with parentheses, as in the example. There are no tricks to this, though. It's a straightforward puzzle. How many numbers from 1 to 40 can you get — and, specifically, what number or numbers can you not get? Answer: 39 numbers — the only number you can not get is 39. Winner: Margaret Gibbs of Littleton, Mass. Next week's challenge, from listener Peter Gordon of Great Neck, N.Y.: Think of a name in the news that has a doubled letter. It's a person's last name. Change that doubled letter to a different doubled letter, and you'll get the commercial name for a popular food. What is it? If you know the answer to next week's challenge, submit it here. Listeners who submit correct answers win a chance to play the on-air puzzle. Important: Include a phone number where we can reach you Thursday, Nov. 3, at 3 p.m. ET.